In previous generations, 300 wins was generally recognized as the milestone a pitcher could reach to assure his place in Cooperstown. However, in an era with five-man rotations, pitch counts, and specialized bullpens, 300 wins has become a much harder goal to achieve. Though 300 wins has never been a necessity for Hall of Fame election, 200 wins has always been somewhat of a prerequisite for a hurler to be a serious Hall of Fame candidate. Only relief pitchers or dominant starters with abbreviated careers, like Sandy Koufax, have been elected without 200 wins. Barring injury, three pitchers, Roy Halladay, CC Sabathia, and Tim Hudson should surpass the 200-win milestone this season. Halladay is practically a lock for the Hall of Fame and would basically have to pitch his way out of the Hall at this point. Sabathia's strong performances as the ace of the New York Yankees have put the big left-hander on a likely road toward Cooperstown. Hudson, on the other hand, is not necessarily seen as being on a path to the Hall of Fame, but the veteran right-hander is in the process of quietly putting together an intriguing Hall of Fame case. While Halladay and Sabathia have both won Cy Young Awards and become household names as aces of high-profile teams, by comparison, Hudson's impressive career has flown somewhat under the radar. Yet going into this season, "Huddy's" wins, win/loss percentage, ERA, and innings pitched are almost identical to Halladay's and Sabathia's. Moreover, based on Baseball Reference's Similarity Scores, the two most similar players to Hudson are Halladay and Sabathia. Traditional stats like wins and ERA only tell half the story--by using sabermetric stats to judge their careers Halladay stands out in comparison while Hudson holds a slight edge over Sabathia. However, Sabathia is five years younger than the 37-year old Hudson and one can assume that the Yankee hurler will be pitching several seasons after Hudson retires--although that is certainly not a given as Sabathia has already amassed over 2,500 innings at a relatively young age. Pitchers with as heavy a workload at Sabathia's age have had mixed levels of success in the latter part of their careers--as for every Tom Seaver who continued to pitch effectively and become a Hall of Famer, there is a Wes Ferrell whose career was basically done after so many innings, or others like Mickey Lolich who were largely ineffective. Hudson himself had Tommy John surgery and missed the last two months of 2008 and nearly all of 2009, but has come back strong, going 49-26 with a 3.19 ERA in the three full seasons since. In 2012, Hudson, Halladay, and Sabathia each battled through small injuries that kept them under 30 starts and experienced a degree of drop in performance, with Halladay actually seeing the largest drop of the three. 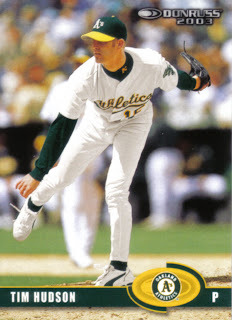 "Huddy" did gain his share of notoriety as part of the Oakland Athletics' "Big Three" along with Barry Zito and Mark Mulder, though the pitching trio was always a bit overshadowed by their General Manager Billy Beane as well as MVP winning power hitters Jason Giambi and Miguel Tejada. In his sophomore season, Hudson played a pivotal role in Oakland's 2000 AL West division crown win, going a perfect 7-0 in his final seven starts with a stunning 1.16 ERA and capped it all off with the division clinching win on the last day of the regular season. In addition, Hudson led the AL with a .769 win/loss percentage, tied David Wells for the league lead with 20 wins, and finished second to Pedro Martinez in the Cy Young Award vote--largely on the strength of those final seven starts. Two years later, Hudson would play just as important a role in helping the Athletics secure the division crown, going 8-0 with a 1.75 ERA over the last two months of the season--picking up four of those wins during Oakland's memorable 20-game winning streak. 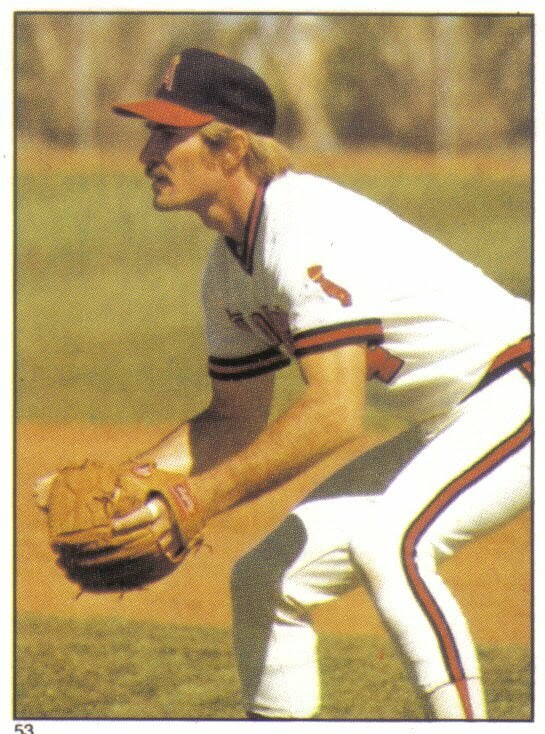 In six excellent seasons with the Athletics, "Huddy" helped the team win three division titles and one Wild Card, going 92-39 with a 3.30 ERA and 136 ERA+. 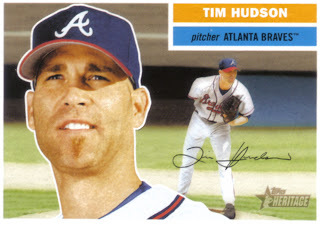 After the 2004 season, the money-conscious Athletics traded Hudson to the Atlanta Braves--at the time one of baseball's most recognizable franchises. 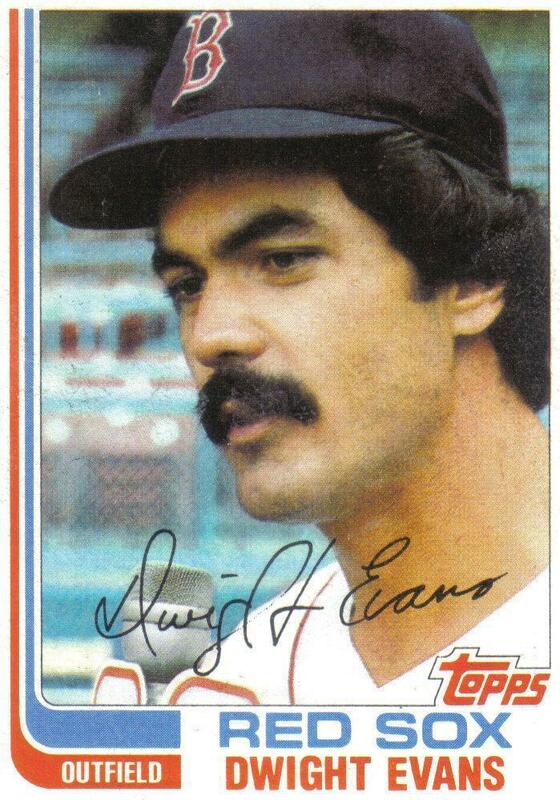 In his first year in Atlanta, the Braves won their unprecedented 14th-straight NL East division title. Hudson did his part, finishing '05 with a 14-9 record, a 3.52 ERA, and 121 ERA+. However, since that time the Braves have failed to win another division title, only making the playoffs in 2010 and 2012 as a Wild Card. In addition, shortly after Hudson's trade to Atlanta, Time Warner sold the team and TBS stopped solely airing Braves games, costing the team a lot of its national visibility. Moreover, aside from trading for Hudson, Atlanta's front office has fared poorly as most of the team's acquisitions have been free agent busts such as Derek Lowe or ill-advised trades like the '07 trade deadline deal for Mark Teixeria--whom the franchise gave up Elvis Andrus, Neftali Feliz, Matt Harrison, and Jarrod Saltalamacchia to acquire. Hudson's finest season as a Brave came in 2010 when he went 17-9 with a 2.83 ERA and 138 ERA+. Hudson beat the NL East champion Philadelphia Phillies on the last day of the regular season to clinch the '10 Wild Card and ensure that skipper Bobby Cox reached the postseason in his final year. While it is true that the Braves teams Hudson has played on have had a hard time living up to the "America's Team" glory days of the '90's, the blame does not fall on "Huddy" who has been a leader both on the mound and in the clubhouse for Atlanta, going 105-65 with 3.52 ERA and 118 ERA+ in eight seasons with the franchise. In his fourteen years in the majors, Hudson has never had a losing season and his eight seasons of 15 wins or more is tied with Halladay, Sabathia, and Andy Pettitte for the most by an active pitcher. In addition, the consistent Hudson has had thirteen double-digit win seasons against just three double-digit loss seasons. Hudson's most difficult year was 2006 when his win/loss percentage was .520 with a 4.86 ERA and 92 ERA+-- by far career worsts for "Huddy" in each of those categories. Hudson's uncharacteristic '06 season marked the only time in his 14-year career that his win/loss percentage was under .600 and his ERA+ fell below 110. Aside from '06, the only other season Hudson finished with an ERA north of 4.00 was in 2000, when his ERA was 4.14--yet still good enough for 9th lowest in the offense-heavy AL. "Huddy's" 197-104 career record gives the right-hander a stellar .654 win/loss percentage. Barring a late career swoon, Hudson should retire with well over 200 wins and an excellent win/loss percentage of .625 or higher. While wins and win/loss percentage have become devalued compared to sabermetric stats such as WAR and ERA+, in baseball history, only 18 pitchers have retired with over 200 wins and a win/loss percentage of .625 or higher. Of those 18 hurlers, 13 are in the Hall of Fame and, of the other five, three (Randy Johnson, Mike Mussina, and Pedro Martinez) are likely to be voted in once eligible, one (Bob Caruthers) pitched during the underrated 19th century, and the other (Roger Clemens) would probably already be in the Hall of Fame had he not been linked to PEDs. In 2012, Hudson completed his age 36 season, according to Baseball Reference's Similarity Scores the two pitchers whose careers are the most similar to Hudson's through age 36 are Kevin Brown and David Cone. Hudson has more wins and a better win/loss percentage at 36 than both Brown and Cone though most of his other statistics are slightly less impressive. Like Hudson, both hurlers were in the closing stages of putting together excellent careers that would make for great Hall of Fame debates. In addition, Brown and Cone were somewhat overshadowed by Roger Clemens and Greg Maddux in much the same way Hudson has been overshadowed by Halladay and Sabathia. While many of their statistics may be similar, Halladay and Sabathia have received far more recognition during their careers than the underrated Hudson. 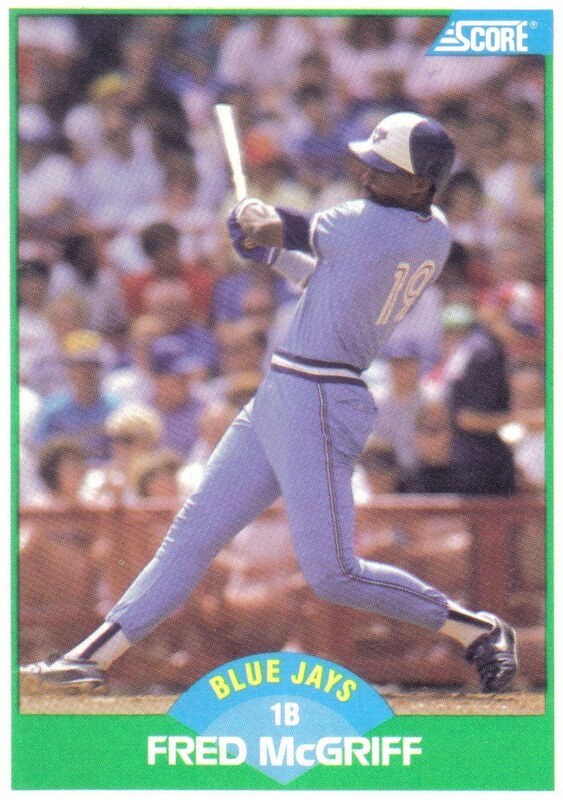 Unfortunately, Brown and Cone both struggled after their age 36 season and neither made it past their first year on the BBWAA Hall of Fame ballot, as they both failed to pick up the five percent of the vote required to appear on future ballots. Brown pitched for four more years after his age 36 season but battled injuries and ineffectiveness, retiring on a sour note after two tumultuous seasons with the New York Yankees which included an embarrassing loss to the Boston Red Sox in Game 7 of the 2004 ALCS. 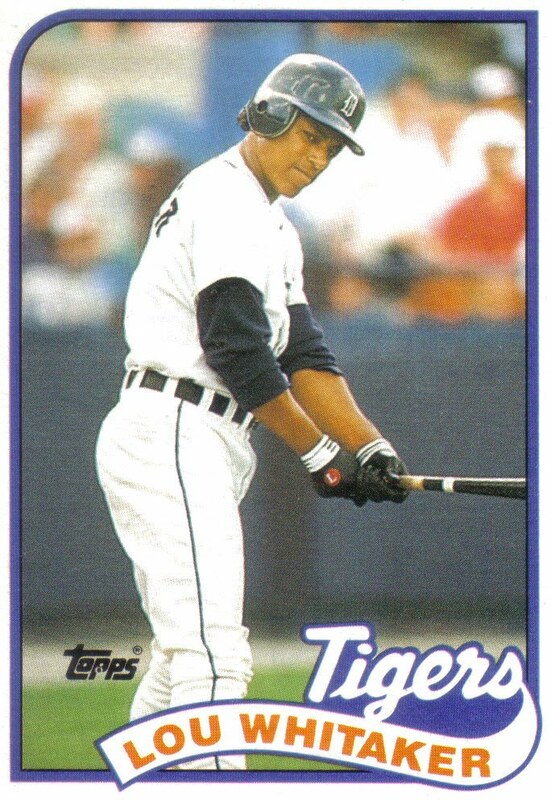 Going into his age 37 season, Cone was coming off a memorable '99 campaign which included a perfect game in July, followed by a rocky ending to the regular season, and concluded with a spectacular postseason where Cone won his fourth World Series ring. Shockingly, Cone would completely fall apart in 2000, going 4-14 with an unfathomable 6.91 ERA and 70 ERA+. 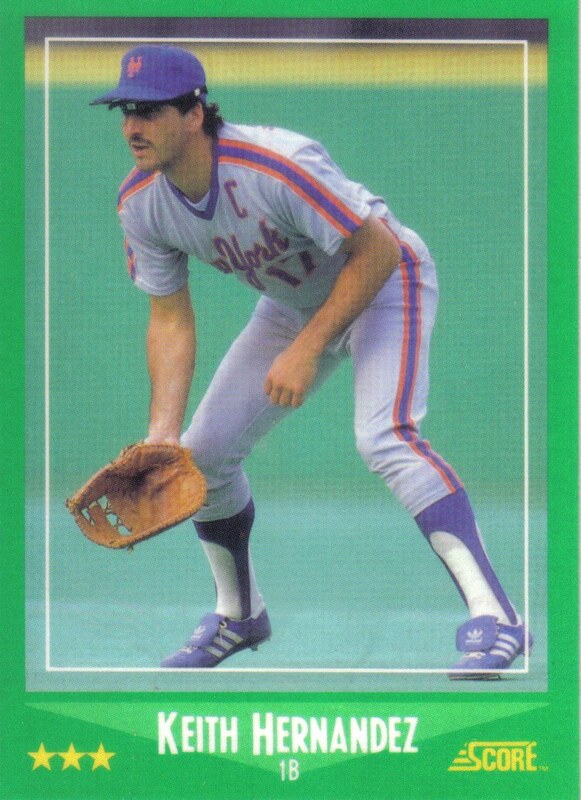 For 2001, Cone signed with the Boston Red Sox and rebounded to have a so-so year, at the end of which he retired, only to stage an ill-fated 18 inning comeback in 2003 for the Mets. 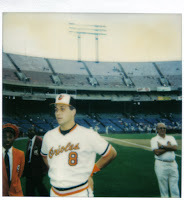 Cone finished his career with a 194-126 record, 3.46 ERA, 121 ERA+, and 62.6 WAR. 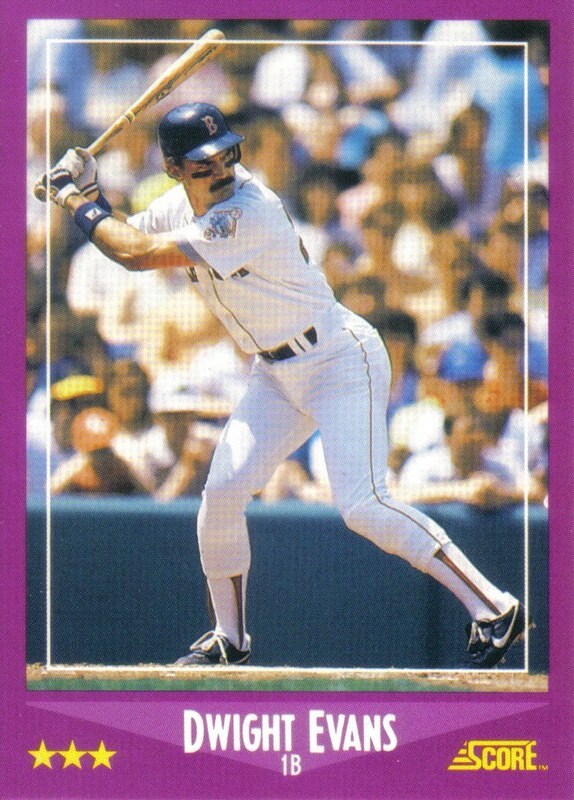 Even though Cone retired with strong sabermetric stats, his inability to reach 200 wins likely doomed his Hall of Fame chances. Brown, on the other hand, was able to surpass 200 wins, retiring with a 211-144 career record, 3.28 ERA, 127 ERA+, and 68.5 WAR. However, Brown's appearance in the Mitchell Report for purchasing human growth hormone and Deca-Durabolin from Kirk Radomski cost his borderline Hall of Fame candidacy fair judgment. While Brown and Cone are ineligible to appear on future BBWAA Hall of Fame ballots, their Hall of Fame candidacies could get a second chance when they become eligible for the Veterans Committee, which judges the careers of failed BBWAA candidates that have been retired 21 or more years with peers from the same era. Reaching 200 wins represents an important step for Hudson to be viewed as a serious Hall of Fame candidate. However, Hudson must avoid the pitfalls that befell Brown and Cone in the final years of their careers and continue to pitch effectively into his late thirties to have a realistic shot at Hall of Fame election through the BBWAA. Otherwise, like Brown and Cone, "Huddy's" time on the BBWAA ballot will be brief and his Hall of Fame candidacy will fall into the hands of the Veterans Committee. Nevertheless, with 49 wins in his three full seasons since Tommy John surgery, the possibility of Hudson winning over 250 games is not out of the question and if the right-hander is able to pitch well and remain a consistent winner then the path to the Hall of Fame will become much clearer.